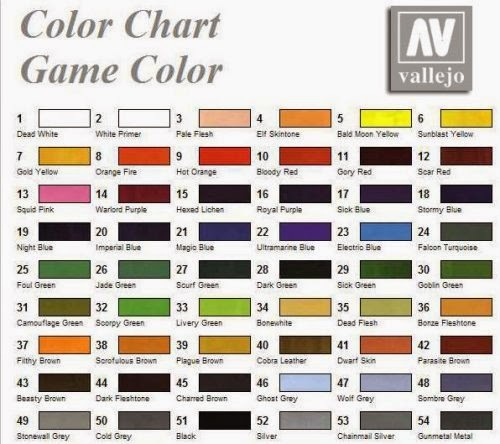 Vallejo Paints a range of 218 acrylic colours, which are extremely highly pigmented, developed for models and miniatures. Model Color is indicated for all surfaces, and particularly formulated to stick to plastics and metals. 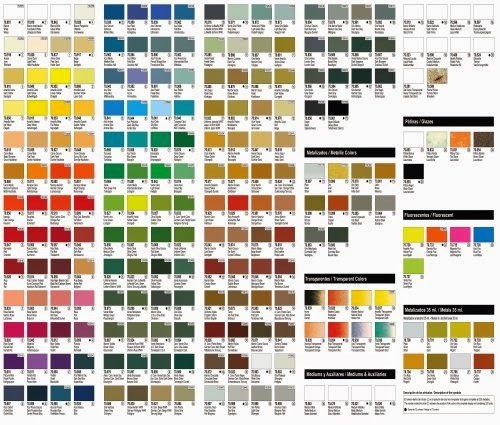 The Model color range contains 218 colours and has an comprehensive assortment of mediums and varnishes, designed particularly for Miniature and Model painting. 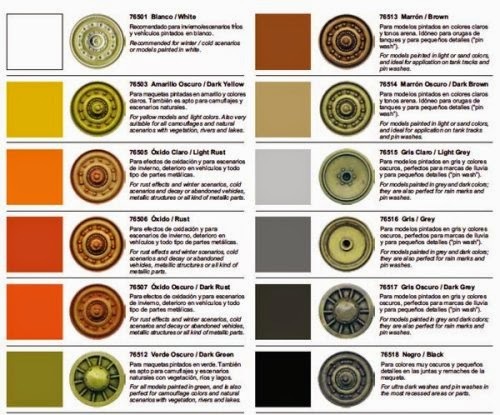 The colours have been selected with the help and advice of the best model painters from around the world. Model Color has been developed with permanent pigments for modellers, all colours are entirely lightfast and opaque, with the exception of the fluorescent and transparent colours, which are semiopaque). A few metallic pigments (in an alcohol base) are included in the range, since these give a harder brilliance than the water-based metallics. The consistency of Model Color provides an exceedingly smooth and uniform paint film, with no trace of brush strokes. Professional model painters always work with a wet brush and dilute the paint with water or Mat Medium, applying many thin layers to achieve depth and shadows. Colours may also be diluted with other Mediums for glazes and layered applications. The water based formula of Model Color has been specifically formulated for adhesion on difficult surfaces such as metal and plastic, but the product is nonflammable, nontoxic, and does not give off harmful or noxious fumes. Mistakes can be corrected straightaway with water or alcohol Model Color dries quickly to a matte, even and waterproofe finish. Exact drying time depends on the temperature and humidity of the surroundings, on the surface which has been painted, and on the thickness of the paint layer whilst the colours are dry to the touch within minutes, the water content keeps on vaporising, and the paint doesn't acquire its true permanency until several weeks after covering. Game color is a special selection of fine water based acrylic colours manufactured with a special resin and permanent pigments for miniatures figures in fantasy and war games. This compact range has been especially developed to contain all the frequently used colours in fantasy figures, in a formula particularly designed for adherence on plastics and metals, using a new resin of unequalled durability and resistance to scrapes and abrasion. Colours brush on easily and smoothly, and dry to an opaque, matte finish. Their finely ground texture makes them perfect for the most miniature details as well as for large surfaces. They are highly pigmented, light fast and waterproof once dry. Errors can be corrected immediately with water or a small amount of alcohol. 16 highly pigmented acrylic colors formulated to provide an especially mat and opaque coating which covers all primers and base colors in one application. The Washes and Inks, developed with a new resin, are used for shadows and for the application of colors in layers. When applied over a base coat, they enter into the folds and grooves of the figure, and instantly brings forth the features. They can also be mixed with the regular colors, or with the Mediums. For armour, vehicles, planes, ship, figures and war game figures. All surfaces exposed to sun, wind and dust, rain and snow, experience a change in colour, a loss of intensity, a dulling and general fading which however is not even or overall. For the model painter, these changes in colour are very difficult to reproduce, and to achieve these effects on a model, washes or filters are the perfect solution. The washes are always needed to blend the edges of the colours on a model painted in various camouflage shades. The colours can also be mixed together to achieve further variations of shade and can be used with airbrush or brush, according to the model and the effect desired. applications. Painting tools are cleaned with water.